Book a hotel for the day in Boston and get some great deals and offers for day rooms. Instead of paying night rates, enjoy a day rate by booking a day room. If you want to spend the day at the Famous Fenway Park or The Old State Museum, Walk around the world famous Harvard University, Turn back the clock at the Boston Tea Party site, work at a hotel room before a meeting in downtown Boston, relax and recharge with a quick nap near Boston’s Logan Airport, a day use hotel in Boston/Cambridge is what you need! At Hotels By Day, we work towards meeting your needs by offering same day check in and check out options at day hotels, for your perfect hourly hotel in Boston to take a “daycation”. 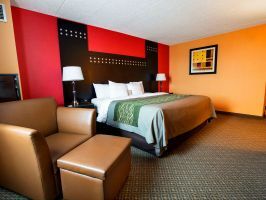 Book a hotel for the day in Boston and get some great deals and offers for day rooms. Instead of paying night rates, enjoy a day rate by booking a day room. If you want to spend the day at the Famous Fenway Park or The Old State Museum, Walk around the world famous Harvard University, Turn back the clock at the Boston Tea Party site, work at a hotel room before a meeting in downtown Boston, relax and recharge with a quick nap near Boston’s Logan Airport, a day use hotel in Boston/Cambridge is what you need! At Hotels By Day, we work towards meeting your needs by offering same day check in and check out options at day hotels, for your perfect hourly hotel in Boston to take a “daycation”.